The clay has healing and detoxifying properties, so it’s no wonder why it has been used for thousands of years as part of beauty regimes. It helps our skin to stay clean by pulling dirt and oil towards it and then binding them through electrical charges. Clay also helps in shrinking pores, toning the skin and it soothes burned skin area – to name just few. There are few types of clay to use, so it’s up to you to choose between kaolin, French green, bentonite and Rhassoul Moroccan. Before you use clay in your masks, inform yourself more about what type it is, so that you can know which one to use according to your skin type. 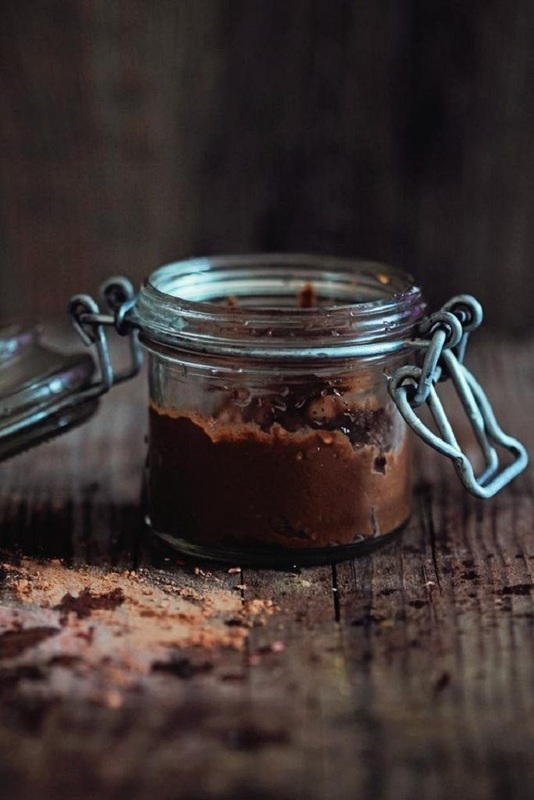 Read along to find ten DIY clay masks that will help you achieve flawless skin! The rose clay is a mild kaolin clay and has many benefits when it comes to our skin. It exfoliates dead skin cells, unclogs blocked pores, removes dark spots and blemishes – to name few just few of the benefits. 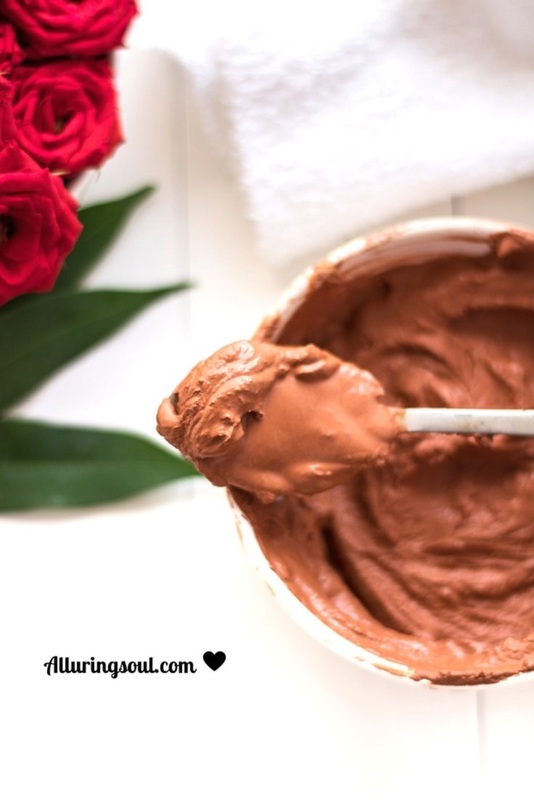 To prepare your own rose clay face mask, mix 1 tbs of it with 1/2 tbs of both rose water and aloe vera gel. All three ingredients will nourish the skin and help it look fresh! The Moroccan Red clay is ideal for people who have oily and/or acne – prone skin. 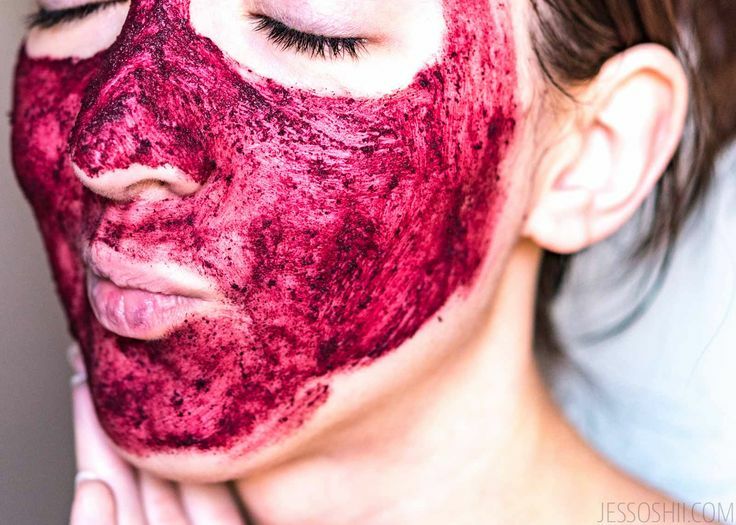 To prepare your own face mask, you need 2 tablespoons Moroccan red clay, 3 tablespoons rose water and 1 teaspoon mashed avocado. The rose water will help you in maintaining your skin’s pH balance, and thanks to the antioxidant properties, it also helps in regenerating the skin and fighting acne. Clay masks don’t need to have muddy look! 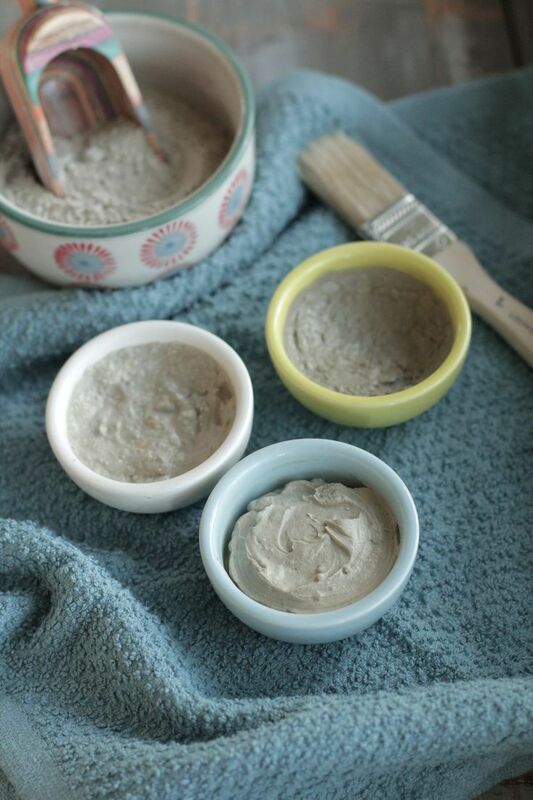 This clay mask looks so adorable that we wish we could were able to apply it right away. The reason why it’s fuchsia – colored is because of the hibiscus powder, one of the four ingredients present in the mask. You will also need lavender powder, french green clay and yogurt (use water or honey as well). Many people are dealing with acne and using clay mask might help, especially if you use honey with it. Honey is known for its antibacterial and antioxidant properties, thanks to which not only it will help fight acne, but it will also make your skin smooth and soft. 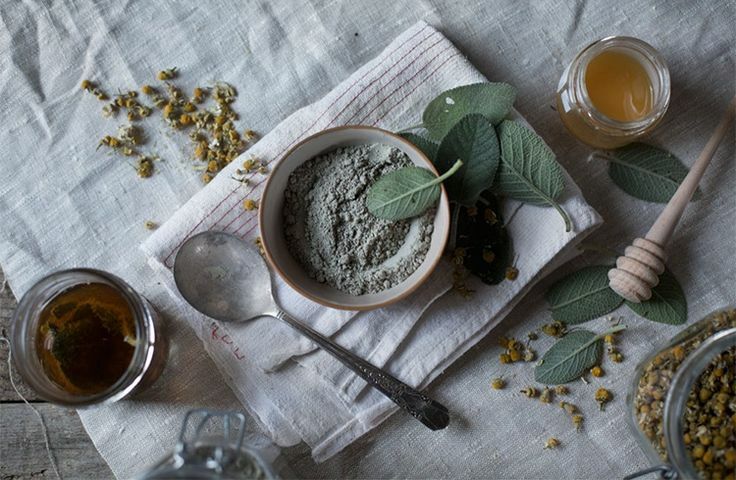 To make your own mask, use 1 tablespoon of each ingredients – raw honey, bentonite clay and water. 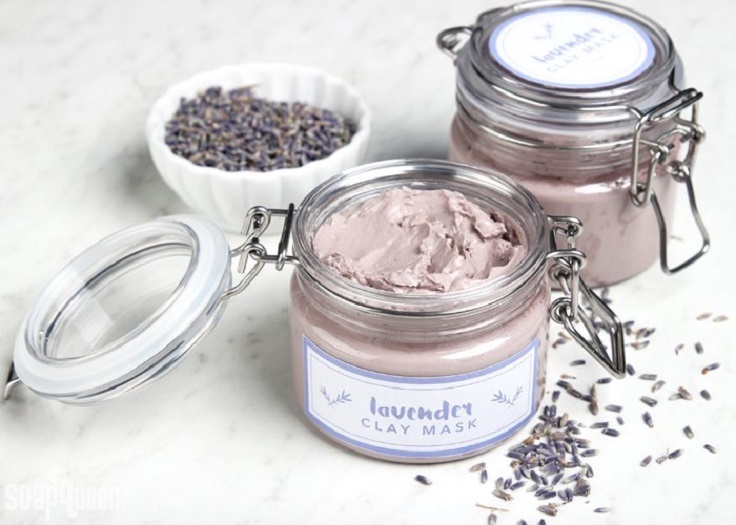 This lavender clay mask is one of the most beautiful DIY mask you can come up with, but note that unlike the rest on this list, this one isn’t really budget – friendly. There are more ingredients that you need, however it all depends on you and your needs – you might want to exclude some oils! The soothing effect that the lavender has will make your face amazing, but it will also relax you with its amazing scent. 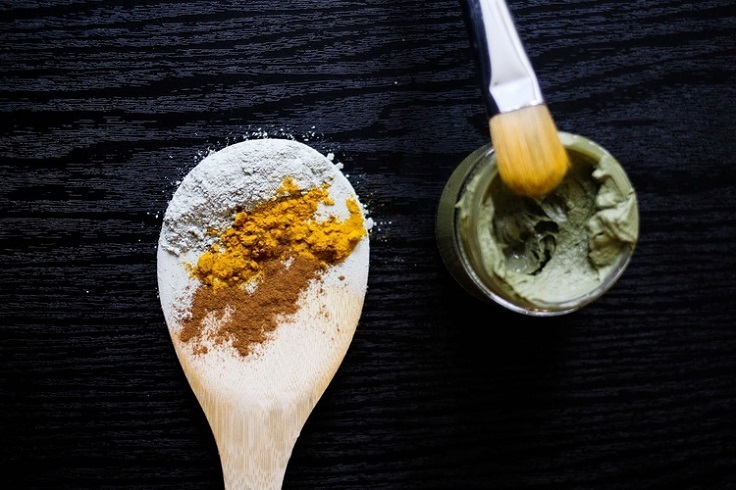 If you thought that turmeric should be only used in kitchen, think twice – this spice contains antiseptic and anti – inflammatory properties that will make our face feel so nice and look so good! Other used ingredient is the cinnamon that helps in reducing acne and toning the skin. You need splash of rose water, 6 tbs water, 1/2 teaspoon turmeric, 1/2 teaspoon of cinnamon and 4 tbsp of clay. Looking for a mask that will moisturize your skin? Then, you just found it! 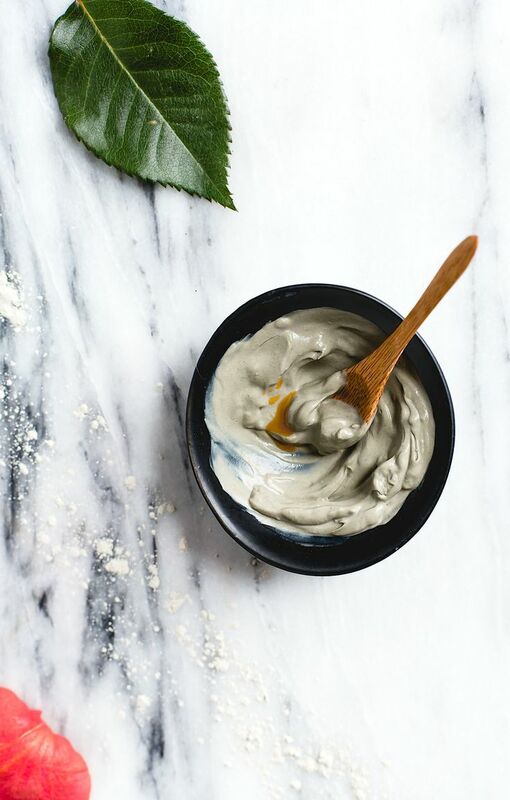 This clay mask contains rosehip oil that is known for its anti – aging properties and helps in treating certain skin conditions, such as eczema and acne scars. To make your own, you need 1 1/2 tablespoons European clay powder, 1 1/2 tablespoons cool, filtered water, 5 drops rose hip oil and 2-3 drops essential oil, such as grapefruit or lemongrass. This mask is a wonderful mix of clay, infused and essential oils! It really comes down to what you like and experiment with the ingredients, but make sure you are well – informed of what you put on. For this mask, you need 1 tbsp powdered clay, 1 tsp chamomile, lemon & vanilla infused oil, 1 tsp honey, herbal infusion of choice and 5 drops essential oil of choice. In this mask you have charcoal – it might sound weird to use it, but it actually has its benefits. The charcoal keeps our pores clean by getting out the dirt and the oil, so it will leave your face clean afterwards. 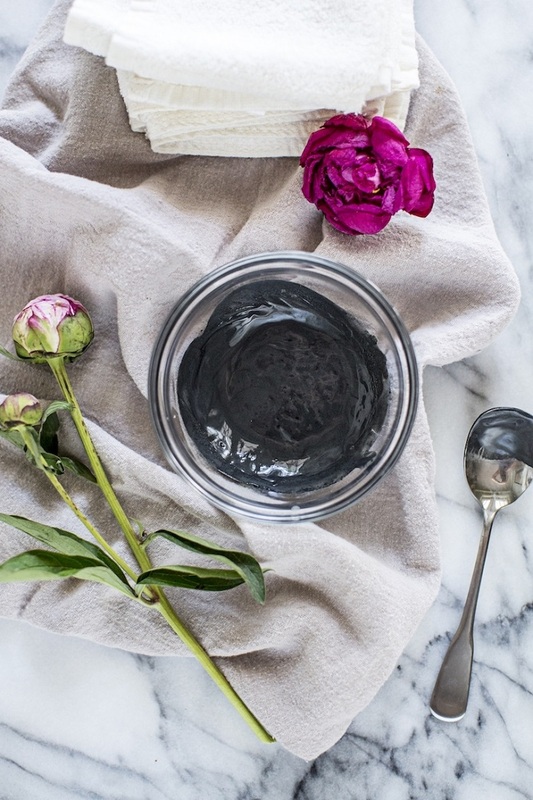 Make your own mask with these ingredients – 1 tbs bentonite clay, 1.5 tbs rose water, 1 capsule of activated charcoal and 4 drops of rosehip seed oil. 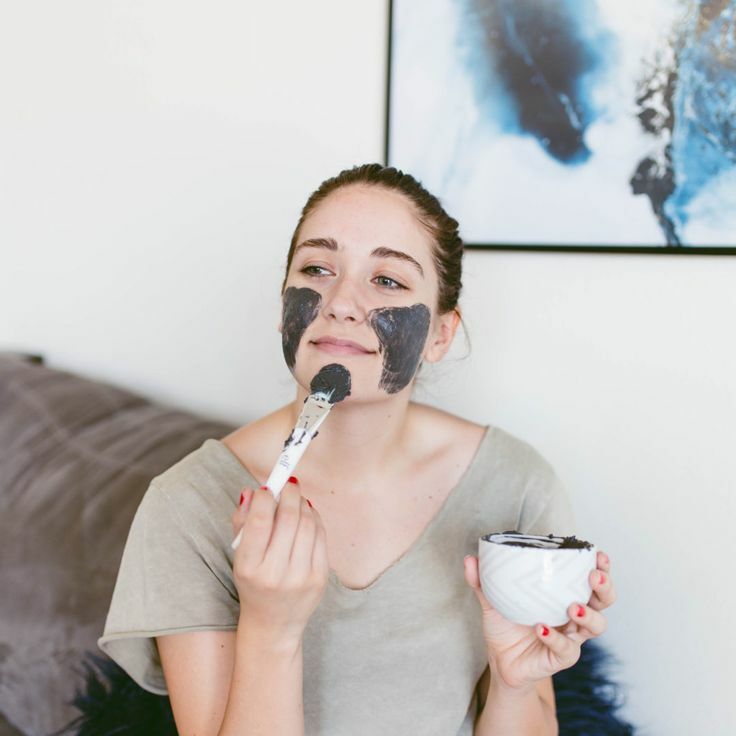 If you’re a fan of charcoal masks, here’s another one that you can try. To prepare this one at home, you need 1 teaspoon bentonite clay, 1 capsule activated charcoal (powder removed), 1 teaspoon organic raw apple cider vinegar and 3 drops tea tree oil. It takes just few minutes to have it all ready and the results will be amazing – it will detoxify and purify your skin!